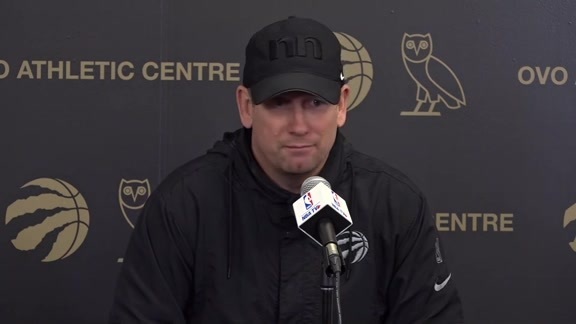 標題：Head coach Nick Nurse addresses the media at the OVO Athletic Centre following Sunday’s practice. Head coach Nick Nurse addresses the media at the OVO Athletic Centre following Sunday's practice. Game 1 Analysis: What did the Raptors do wrong? Is this really going to happen to Toronto again in the playoffs? We dive into some of the numbers to assess what exactly happened to the Raptors in their 104-101 loss to the Magic in Game 1. But Lowry’s shooting being the leading narrative for this game is just plain wrong. The Raptors won the minutes Lowry played by 11 points. They lost the 14 minutes he sat by 14 points. As shown above, that means they were on pace to lose the game by nearly 50 points. 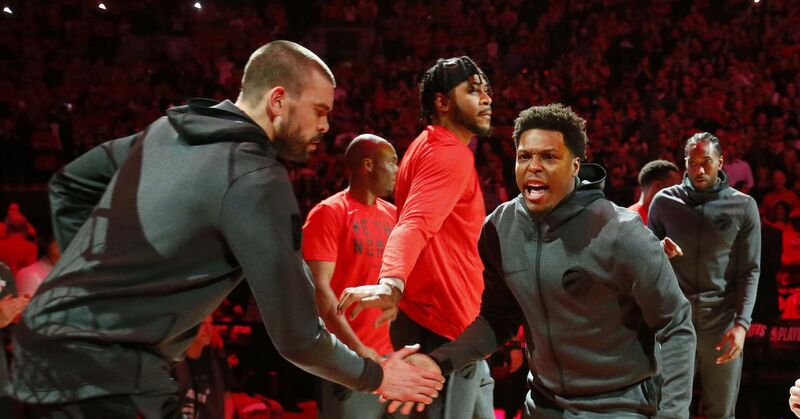 The reality of Game 1 is if Lowry could play all 48 minutes and not lose his effectiveness (yes, even including continuing to miss all his shots), this is a comfortable win for Toronto. But you’ll still see people ask for Fred VanVleet to get Lowry’s minutes. VanVleet shot 5-of-9 from the field, 3-of-6 from long range, scored 14 points in 26 minutes… and was a team-worst by far -16. This is where the average response I get is that of course VanVleet had a bad plus-minus, he was in all those struggling bench units up above, with all that misuse of role players I was talking about. If the units can’t score, of course VanVleet will struggle to post good plus-minus numbers even with his shooting. Except those units up there, with VanVleet in Lowry’s place? They broke even. That’s right, in all the minutes VanVleet played with the bench units when Lowry was resting, his plus-minus was… zero. Meaning, wait, where did the -16 come from? Remember that brilliant idea above about starting VanVleet in Lowry’s place? That’s yet another look that was decent in the regular season. And just like in years past, it’s a lineup that doesn’t hold up in the playoffs (so far). VanVleet played five minutes with the starters in Lowry’s place. They were completely shelled on both ends in that time, playing to that full -16 plus-minus in just those five minutes.